The sentence, written on a large sheet of paper set in the middle of a roundtable discussion, was circled and underlined twice. It was a running theme of several conversations that took place last Thursday and Friday in the Wabano Centre for Aboriginal Health in Ottawa during the pan-Canadian Rainbow Youth Health Forum. The forum was organized by the Mental Health Commission of Canada (MHCC) in partnership with the Wisdom2Action initiative. What gaps and/or barriers do 2SLGBTQ+ emerging adults face when accessing health services? What positive experiences do 2SLGBTQ+ emerging adults face when accessing health services? How could health care organizations make an emerging adult’s experience safer and more inclusive? 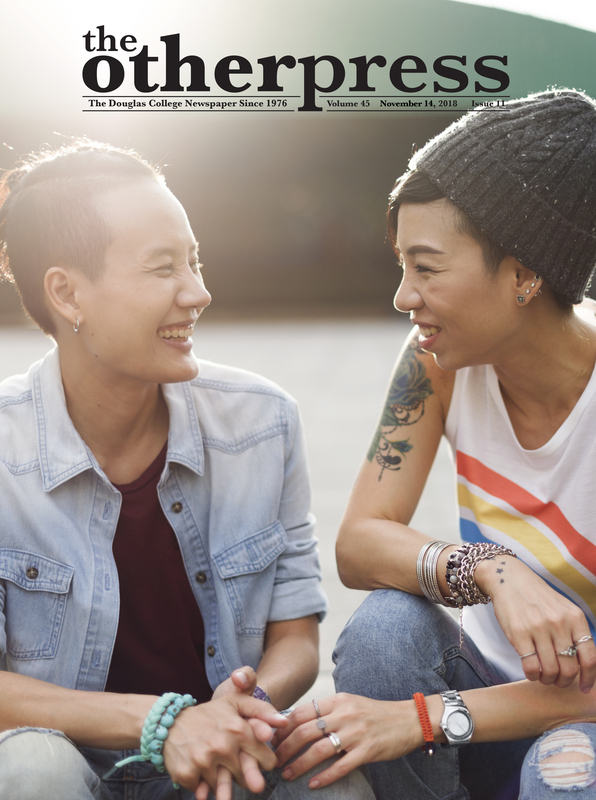 To answer these questions, the forum issued an open invitation to 2SLGBTQ+ people across Canada between the ages of 18 and 30 with lived experience navigating the mental health care system. The cross-section of humanity that came together to discuss these issues covered a broad spectrum of experiences. Many in the room found solidarity with one another—unfortunately, much of that solidarity was based in shared negative and often traumatizing experiences with the Canadian health system. “The number of youth who [don’t] have any positive experience at all [accessing healthcare] just shows how broken our health systems are,” said educator Fae Johnstone on Twitter. Johnstone acted as facilitation support and host for the event. Indeed, that second question stumped many of the participants in the forum, so much so that it had to be reshaped when it came time to answer it. Instead of asking for positive past experiences with the health system specifically, members of the forum were asked about any positive or supportive experiences they’ve had with regards to someone caring for their mental health—or even just to imagine what a compassionate and effective mental health care system would possibly look like. The forum itself came as a direct result of the Mental Health Commission of Canada’s renewal for another 10-year mandate back in 2015. The Commission was originally created by the Canadian government in 2007 with the goal of examining the mental welfare of Canadian citizens. The original three objectives of the Commission were to form a national mental health strategy, to develop and implement anti-stigma and anti-discrimination campaigns, and to form a Knowledge Exchange Centre to promote education and improved mental health care practices. There are many factors contributing to these troubling statistics, though much of it comes down to societal stigma. Acceptance of 2SLGBTQ+ people, while certainly more widespread than it was even 10 years ago, is still far from universal. Accessing mental health care looks very different when you’re doing so as a 2SLGBTQ+ person. It looks different again when you fall on that spectrum and are also a person of colour or Indigenous. Everyone at the forum had their own stories of at best, a decidedly tone-deaf response from healthcare practitioners regarding their lived experiences—at worse, outright abuse. Misdiagnoses based on gender or sexual identity were one of the topics that came up often during roundtable discussions. For example, bisexual and pansexual people found themselves more likely to receive a diagnosis of Borderline Personality Disorder because of the assumption that their relationships are more likely to be unstable, even if that assumption did not reflect the patient’s reality. Lack of basic knowledge from healthcare providers was also cited, such as practitioners not knowing how hormone replacement therapy could interact with certain prescribed medications or telling trans masculine people not to wear binders at all instead of giving them guidelines for safe binding practices. Dependency on community care was also brought up. 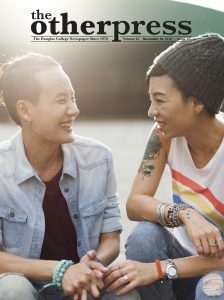 With mental health care services failing to provide a safe and helpful environment for mentally ill people on the queer spectrum, other 2SLGBTQ+ people often found themselves left holding the bag, supporting their peers far above and beyond the work that a member of the community should be doing. In a breakout session discussing the issue of over-reliance on community care, participants were asked to raise their hands if they’d ever had to support another at-risk member of the community. Everyone raised their hands. When asked if they’d had to support these people to a point where the emotional labour had started taking a toll on their own mental health, everyone raised their hands again. The focus of the forum was to assess the needs of 2SLGBTQ+ youth by collecting their experiences and recommendations. In a room full of people who’d experienced a myriad of hardships and barriers to access, the work essentially boiled down to hours of painstaking emotional labour. A crisis counsellor was provided on standby, and participants were encouraged to take breaks and keep their own emotional wellbeing in mind throughout the day. Thursday night was largely spent outlining the format of the forum and introducing participants to the space. The Wabano Centre is a beautiful building, featuring a two-storey open gathering space with acoustics that serve to amplify the voices of anyone standing directly beneath the enormous medicine wheel painted on the ceiling above. Two-Spirit Knowledge Keeper Sharp Dopler opened that evening, welcoming the assembled “freaks and weirdos” with sharp humour and a wry smile. Aboriginal Experiences Ottawa conducted a drum circle workshop later that evening. The format of the forum on Friday varied between presentations and participation in discussion groups. As well, individuals who volunteered to do so were taken aside to be filmed and interviewed. The presentations largely discussed current problems in the mental health care system from many perspectives, including those of activists, service providers, a Two-Spirit youth care worker, and a Bugis, Javanese-Malay refugee who made national news when their claim was accepted after their family disowned them for being openly queer. Hazim Ismail identifies as bissu, one of five genders recognized in traditional Bugis society. “You can’t talk about gender expectations without talking about colonization,” said Ismail during their presentation on gender diversity. They called for mental health service providers to take into consideration non-Western experiences and frameworks with regards to 2SLGBTQ+ experiences. “To approximate me as ‘nonbinary’ [instead of bissu] is still imposing a colonial framework on my identity,” Ismail said. Discussion results were collected by various means—largely in the form of notes and mindmaps compiled by participants and handed over to organizers at the end of the discussions. According to organizers, these results will be developed into a report and two videos that will be passed along to the Commission and circulated. Events and forums such as this one are sorely needed in a system where marginalized people experience significant barriers to accessing necessary healthcare services. As was written down and emphasized during one of the many discussions that took place during the forum, 2SLGBTQ+ people know what we need. It’s time healthcare service providers start listening and responding to those needs. Hopefully the discussion—and the drive for change—will not end here. What do we owe to one another?